On January 22, 2018, the Florida First District Court of Appeal released an opinion in Ferrandino v. Riley, No. 1D17-1187 (Fla. 1st DCA 2018), which sheds some additional light on an often-presented issue–objections to subpoenas directed to non-parties. It is noteworthy that the procedural context of Ferrandino is somewhat unique, in that the underlying action was an out-of-state action, in which one of the parties sought to depose a non-party resident of the State of Florida. Pursuant to the Uniform Foreign Deposition Act, the non-party Florida resident filed an objection and motion for protective order in the Florida Circuit Court in her county of residence, for the purpose quashing the subpoena commanding her to appear for deposition in the out-of-state action. Regardless of this posture, the analysis in which the Ferrandino Court engaged was the same as is appropriate with respect to any motions for protective order filed by third parties pursuant to Fla. R. Civ. P. 1.280. First, it is important to note that “[t]rial courts must be accorded broad discretion in the treatment of discovery problems through the employment of the protective provisions contemplated by rule 1.280.” Waite v. Wellington Boats, Inc., 459 So. 2d 425, 426 (Fla. 1st DCA 1984). Given this broad discretion, it is important to take every step possible to ensure that any potential errors are capable of being addressed on appeal, such as the hiring of a court reporter, which is addressed further below. In Mathews v. Kant, 427 So. 2d 369, 370 (Fla. 2d DCA 1983), the Second District Court of Appeal held that in order to quash a subpoena, there must be “some facts before the court tending to show the unreasonableness and oppressiveness[. ]” Thus, a party seeking a protective order, at least when claiming undue burden and harassment, cannot simply rely upon unfounded allegations contained within their motion and most present support for their legal positions–unsworn representations of counsel have no evidentiary value. See, e.g. Topp Telecom, Inc. v. Atkins, 763 So. 2d 1197, 1199 (Fla. 4th DCA 2000)(“There is obviously no error in overruling this kind of objection when it is not supported by record evidence, such as an affidavit detailing the basis for claiming that the onus of supplying the information or documents is inordinate.”); Beekie v. Morgan, 751 So. 2d 694, 697 (Fla. 5th DCA 2000) (“But Morgan’s attorney offered no good reason why Morgan could not have been deposed at a rescheduled time, other than inconvenience, and the need to take time off from work. Aside from that inconvenience, there was no evidence of annoyance, embarrassment, oppression or undue burden or expense. Protective orders must be based on good cause.”). Ferrandino provides some additional insight as to factors that an appellate court was willing to consider in reviewing the trial court’s broad discretion to enter discovery protective orders, which is always helpful for litigators or pro se parties who are facing similar facts and circumstances. It is important to note that the appellate court’s review in Ferrandino was obviously hampered by the lack of a transcript of the hearing below. Ferrandino (“And while the circuit court held a hearing on the motion to quash and for protective order, Appellants did not provide a transcript of this hearing for the record. Accordingly, we must presume that any deficiency in the documentary evidence to support the circuit court’s decision was cured “based ‘on evidence adduced at the hearing.'”). Coincidentally, the importance of hiring a court reporter and transmitting a proper record, or at the very least preparing a transcript substitute pursuant to the Florida Rules of Appellate Procedure, was to be the next blog post in the series: Trial Tips – Preserving Error For Appeal. However, the release of Ferrandino v. Riley provided a timely opportunity to briefly preview the practical implications of the lack of a trial transcript in the context of an appeal from a simple discovery order, before more fully delving into that topic. If you are a third party to a lawsuit who has been subpoenaed, and desire more information as to your rights and the applicable law, contact us today!. CONTACT US AT: OFFICE@RSJlEGAL.COM or 305.222.7921, to schedule a consultation. Robert Stone Jeffrey, Esq., is an attorney admitted to the Florida Bar in 2010, the United States District Court for the Middle District of Florida, the United States District Court for the Southern District of Florida, and the Supreme Court of the United States. Mr. Jeffrey has experience handling complex and high asset family law disputes, and has authored chapters in various publications relating to Florida family law. Robert is currently a member of the Family Law Section of the Florida Bar Rules and Forms Committee. 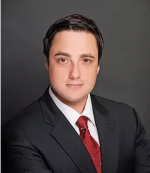 Robert was awarded an AV Rating by Martindale-Hubbell (2017 – 2019), as “Peer Rated For Highest Level of Professional Excellence,” along with being recognized as a “Top up and Comer” by South Florida Legal Guide, and a “Rising Star” by Superlawyers.com. Robert was awarded a 10/10 rating by Avvo.com, and various client reviews can be accessed through that platform. See https://www.avvo.com/attorneys/33134-fl-robert-jeffrey-3341362.html. More information about Mr. Jeffrey, and Jeffrey Law, PA, can be found at www.rsjlegal.com. This Website is made available for educational purposes only, and is only intended to give you general information and a general understanding of the law, not to provide specific legal advice, or any legal advice whatsoever. By using this Website and reading this Blog you understand and agree that there is no attorney-client relationship between you and the Blog and/or Website publisher. By using this Website and reading this blog you understand and agree that any statements on the Blog are solely opinions of the author(s). This Website and/or Blog should not and cannot be used as a substitute for competent legal advice from an attorney licensed in your state or jurisdiction. The hiring of a lawyer is an important decision that should not be based solely upon advertisements. In a Florida Divorce, can an asset be awarded before the case is finalized? Breach of Contract – Is failure to read or understand a valid defense?